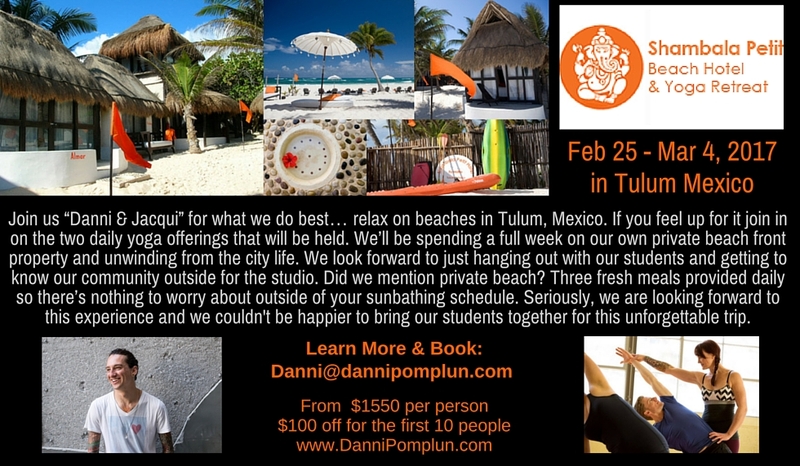 TULUM RETREAT IS SOLD OUT!!!!! Please contact me for the waitlist. Join me for a yoga adventure and deepen your practice in a beautiful destination. Nourish yourself with delicious local cuisine, and take an excursion. A $350 non-refundable deposit is required upon registration to secure your space. Full payment is due by December 31st, 2016. Pay in full or inquire about a payment plan. If you send via service, there will be a 3% fee added to the cost. We understand that unforeseen circumstances can occur. There is a non-refundable $350 deposit. If we are able to fill your space we will gladly reimburse you, less any fees we cannot recover. However, if we cannot fill your space, no refunds can be given. We always recommend the purchase of travel insurance just to be safe. No refunds after November 31st, 2016.